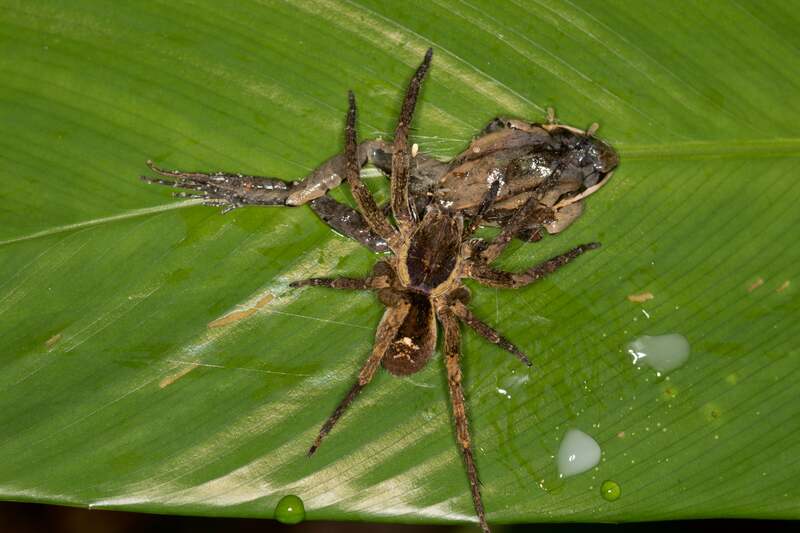 Spiders are creepy even at the best of times, but new photos taken from the Amazon rainforest put these predatory creatures in an even more fearsome light: as they’re chomping down on animals of unusual sizes. 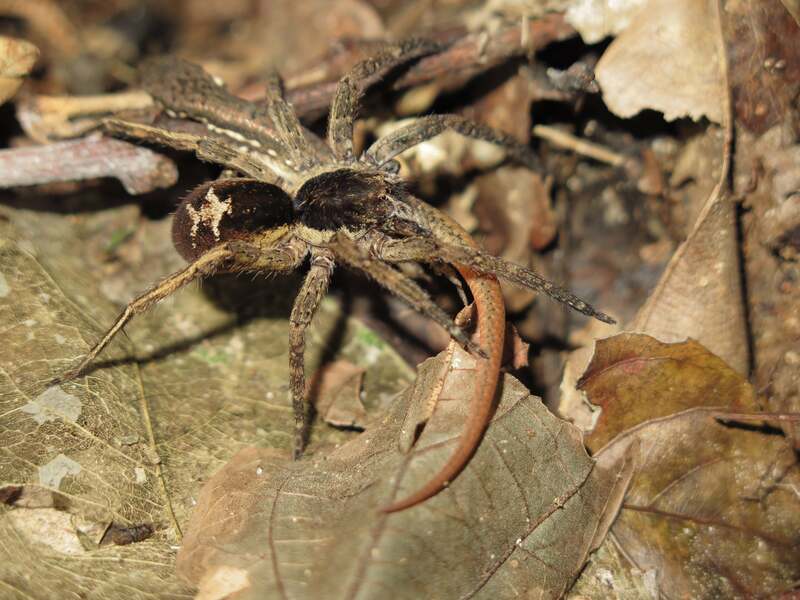 New research published today in Amphibian and Reptile Conservation highlight over a dozen rare predator-on-prey interactions involving arthropods (the predators) and small vertebrates (the victims). Arthropods are a group of creatures that includes insects, crustaceans, and arachnids, the latter of which includes spiders, scorpions, mites, and ticks. 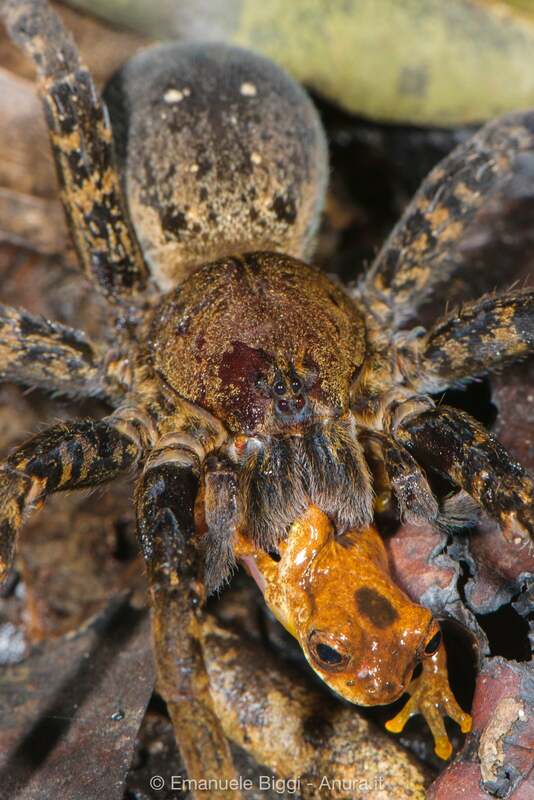 The new study, led by evolutionary biologist Daniel Rabosky from the University of Michigan, offers gruesome photographic evidence of arthropods—mostly spiders—feeding on a surprising array of backboned animals, a list that includes frogs, tadpoles, lizards, snakes, and in one unprecedented case, an unfortunate opossum. Around once or twice each year, Robosky and his colleagues venture to the Los Amigos Biological Station in the remote Madre de Dios region of southeastern Peru. Here, in the lowland Amazon rainforest near the foothills of the Andes mountains, the scientists collect ecological data about reptiles and amphibians. 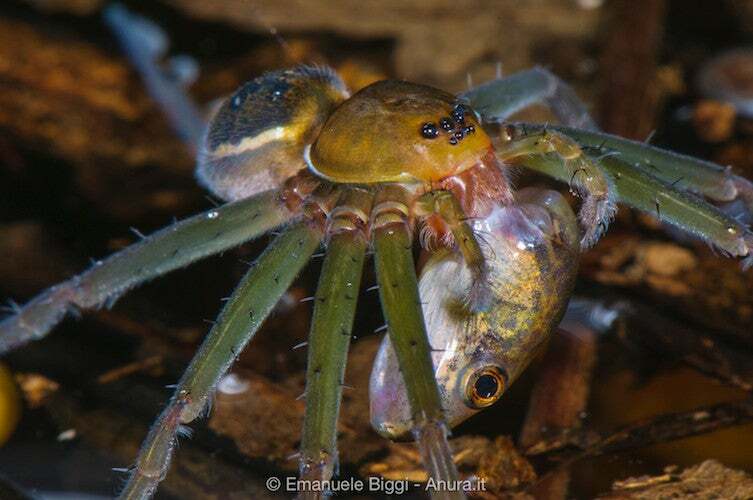 They’ve been doing this for more than a decade, and over the years the group has managed to collect a surprising amount of visual evidence showing grisly, often unexpected interactions between arthropods and small vertebrates. So much evidence, in fact, Robosky’s team decided to publish a paper dedicated to the subject. The sightings documented in the paper were primarily done at night when arthropods are most active. The researchers cautiously trekked through the darkened forests with flashlights guiding their way, and cameras at the ready. Predatory arthropods have special body parts, such as modified jaws, big beaks, and large fangs to capture victims. They also use venom to immobilise prey. Other sightings involved Ctenidae spiders—so-called “sit and wait” spiders. As their name suggests, these arachnids wait for their prey to come to them. Using special hairs that detect vibrations, the spiders can sense when a prospective meal is nearby. Ctenidae spiders used their main set of eyes to discern an object, and its secondary eyes are used to detect motion. But it wasn’t just all spiders. Large centipedes were seen eating a live Catesby’s snail-eater snake and a dead coral snake—the head of which was torn off by the insect.